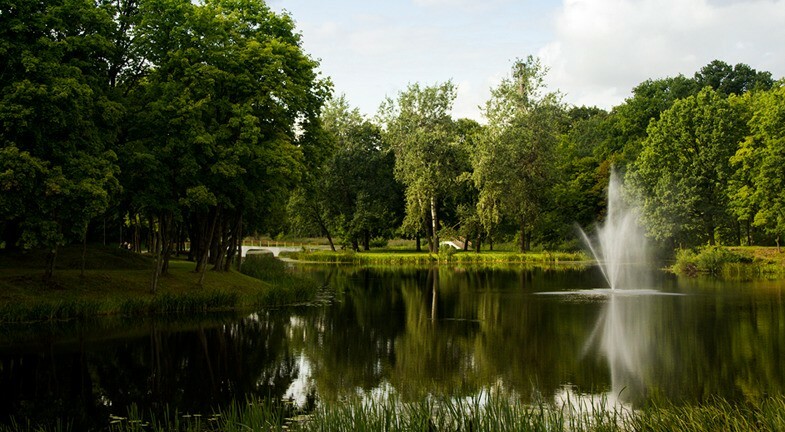 The current Kėdainiai town park is the former Kėdainiai manor homestead. 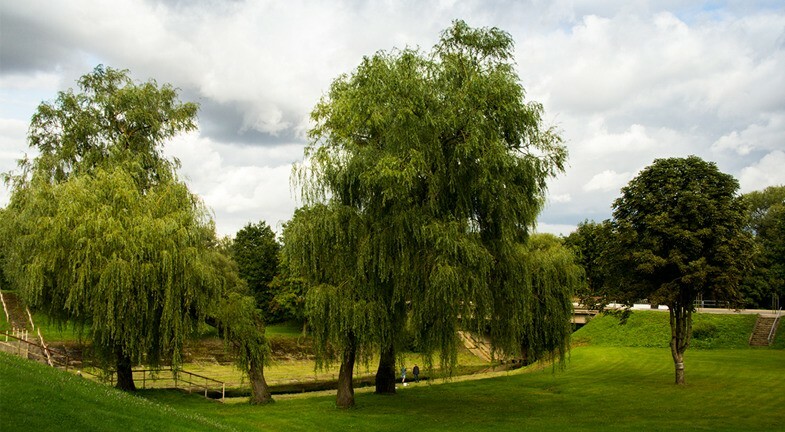 A mansion was built here along with a garden in the 19th century by Čapskiai. 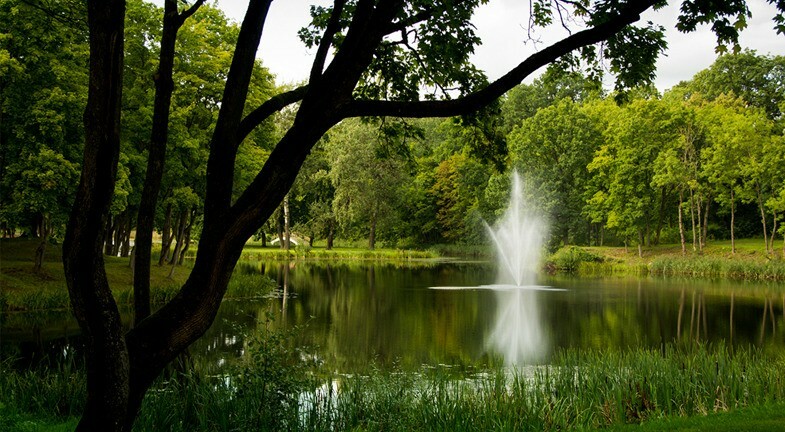 In the second half of the XIX century, Count Eduard Totleben, a Russian army general, became the owner of this estate. 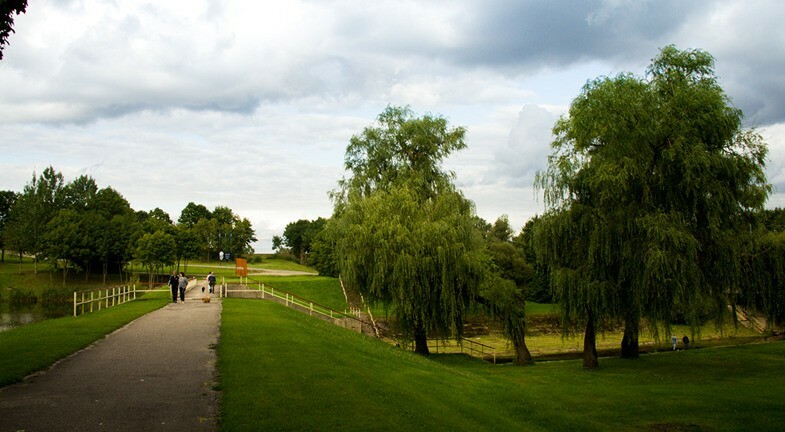 He reconstructed the mansion, as well as restructured and decorated the park. 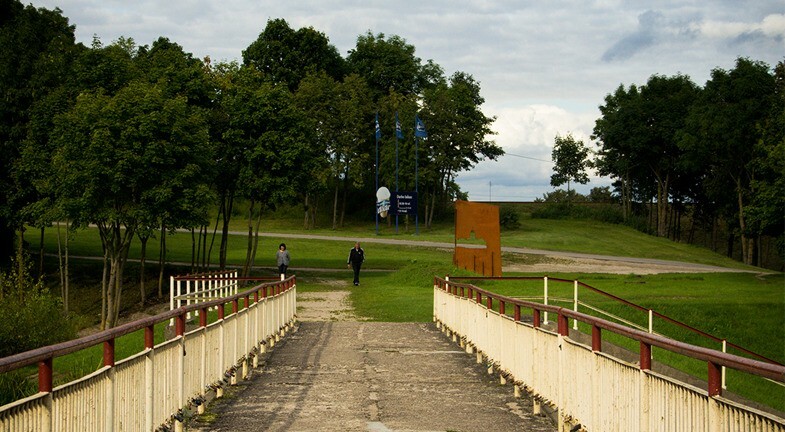 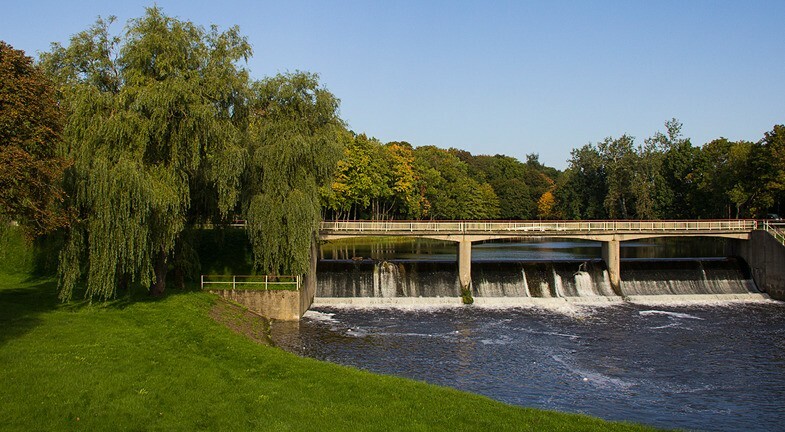 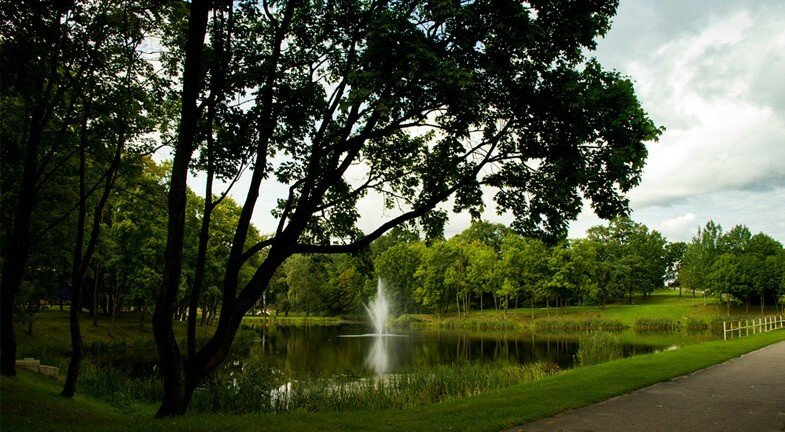 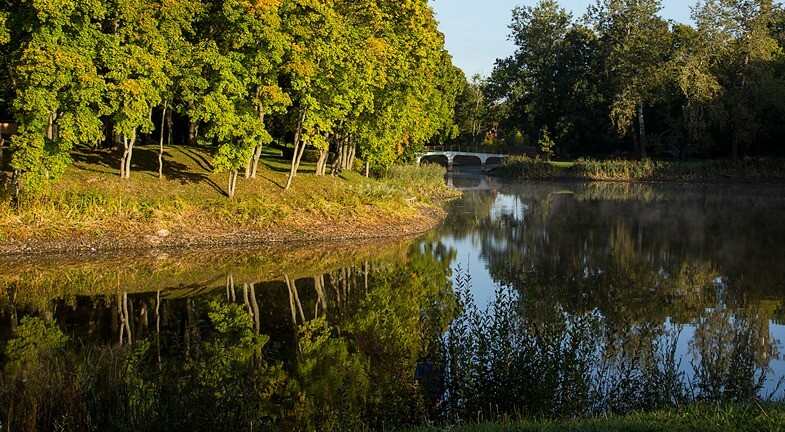 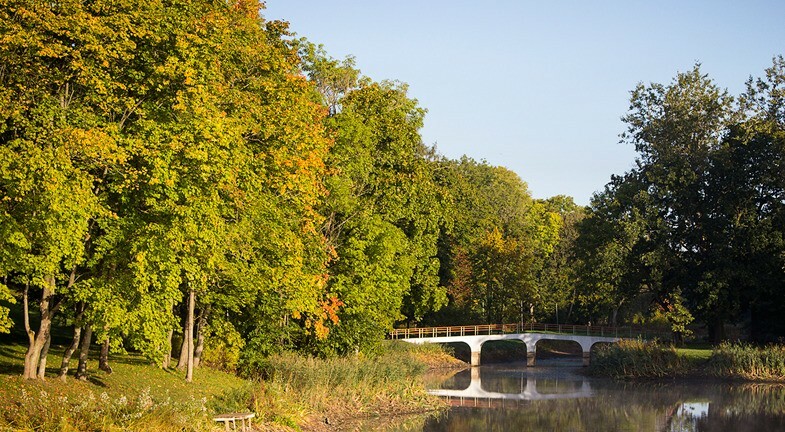 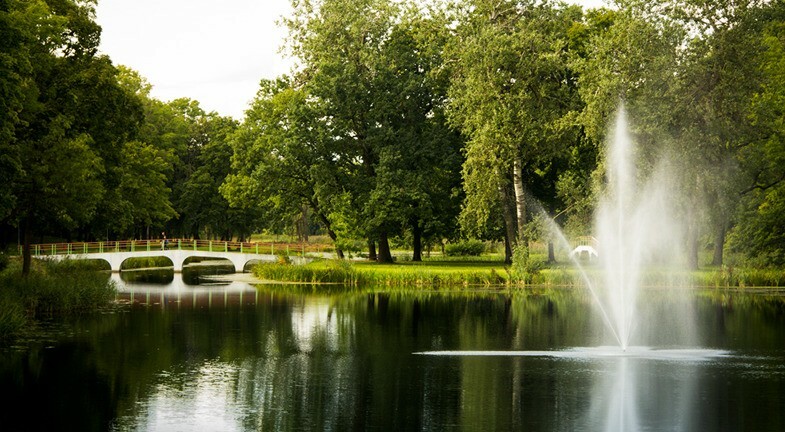 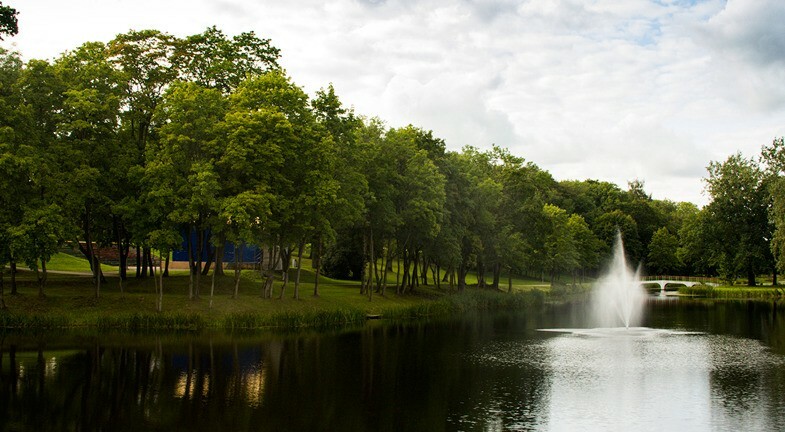 The scenic park is one of the first ones and one of the most beautiful in Lithuania. 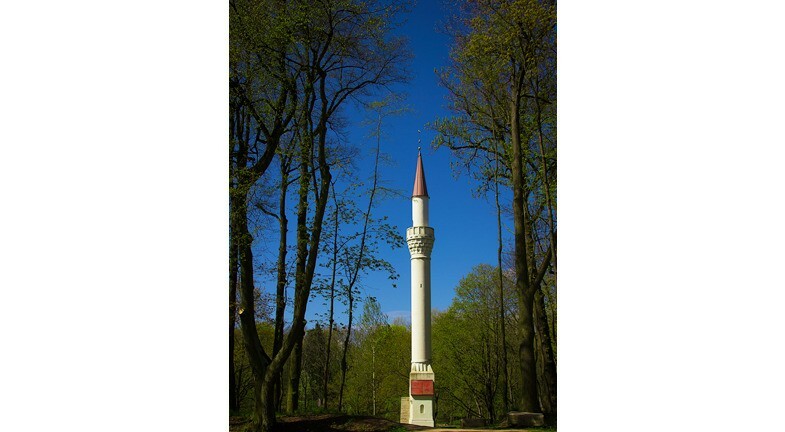 An ayvan, mosque and minaret (28 m) were built in the park in 1880 to decorate it and commemorate the wars with Turkey. 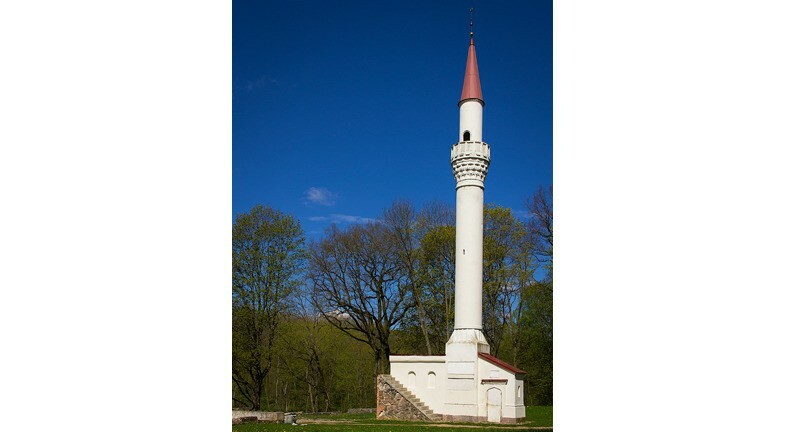 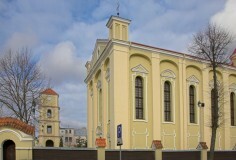 Only the latter remains, which is the only separate minaret in Lithuania.